‘Tis the season to spoil yourself and those you love! What better way than to give the gift of timeless, beautiful pearls? Thanksgiving is just around the corner and before you know it Christmas will be knocking on your door. Don’t spend this year elbowing your way through the mall looking for something… ANYTHING, to fill those stockings.Sure, you could get away with getting your wife another purse, your daughter a sweater or your mom just one more cook book but let’s face it, wouldn’t they MUCH prefer a beautiful piece of pearl jewelry? I think we both know the answer to that! We have been InBusiness for Over 20 Yearsso we know a thing or two about pearls. Read our reviews and shop with confidence. Our pearl pieces are of the best quality out there and are each created by hand with the help of our expert pearl sorters and jewelers. Moreover, we are one of the largest importers of loose pearls in the country, which means we save lots of money by buying in bulk and we pass those savings on to you! Pearls are beautiful, classic and look good on everyone! 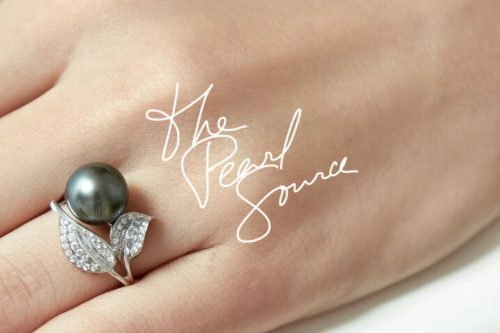 From a unique trendy pearl ring to an elegant Tahitian pearl strand there is the perfect pearl piece for every personality. Pearls make the perfect gift for your special someone and with our wide range of products you are sure to find just the right gift for just the right person. With beautiful akoya studs starting at $49, freshwater pearl necklaces starting at $99 and gorgeous bracelets starting at $89 you can check everyone off of your list. If you have that style savvy someone in your life, try one of our unique pearl rings or baroque necklaces. For the more traditional individual on your list, you can’t go wrong with a pure white strand or a pair of studs. Unlike many seasonal trends, your gift of pearls will be treasured for many seasons to come. They never shrink, fade or go out of style! Wouldn’t it be nice NOT to see this year’s gift in the “return” pile or last year’s gift in the “giveaway” pile? Wouldn’t it be nice to see genuine excitement on the face of your loved one when they open their gift? All of our pearl jewelry comes in a beautiful Gift Box with FREE UPS Ground Shipping. If you are running behind schedule we also offer various Expedited Shipping options as well! We know that shopping for jewelry online seems a bit scary and we want to make it as worry free and risk free as possible. That’s why we offer our 60 Day Money Back Guarantee! If you or your gift recipient is not 100% pleased with your jewelry, send it back for a full refund (less the cost of shipping). If we can help you with your search in any way please don’t hesitate to call us or if you are in the area, stop by and visit our Los Angeles pearl showroom. Browse our website or give us a call and be sure to take advantage of our upcoming black Friday sales for the best deals of the year! 15% off ever product on our site! Let The Pearl Source give you a stress free shopping experience and make this holiday season the happiest one yet! Pearl Earrings – What Size Pearl should I Wear?